I love horses. I ride them when I can, I pet them, I feed them carrots and peppermints. Josephine Amelia Perkins loved horses. She did me one better: She stole them. 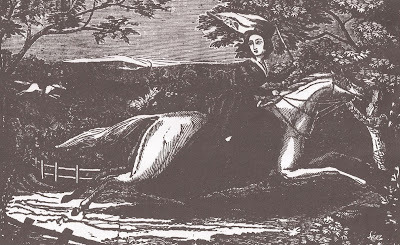 In fact, she was a character I have never encountered elsewhere in history—an equine kleptomaniac. Obviously, she deserves an honored place in this blog. 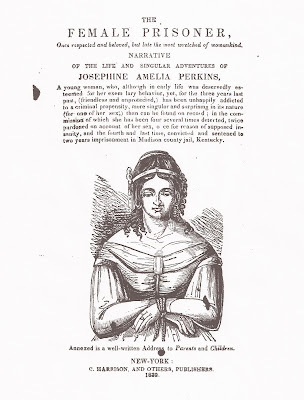 Unfortunately, virtually all we know about the busy Miss Perkins comes from two quite delightful autobiographical pamphlets: “The Female Prisoner” (1839) and “A Demon in Female Apparel” (1842.) Such contemporary accounts of notorious miscreants were designed more for their entertainment value (and moral lessons!) than strict accuracy, so it’s quite probable that our heroine’s tale gained something in the telling. With that small caveat in mind, let's head for the starting gate. It's post time! Miss Perkins was born in Devonshire in 1818, the only child of a “kind and indulgent father,” who was widowed in Josephine’s infancy. 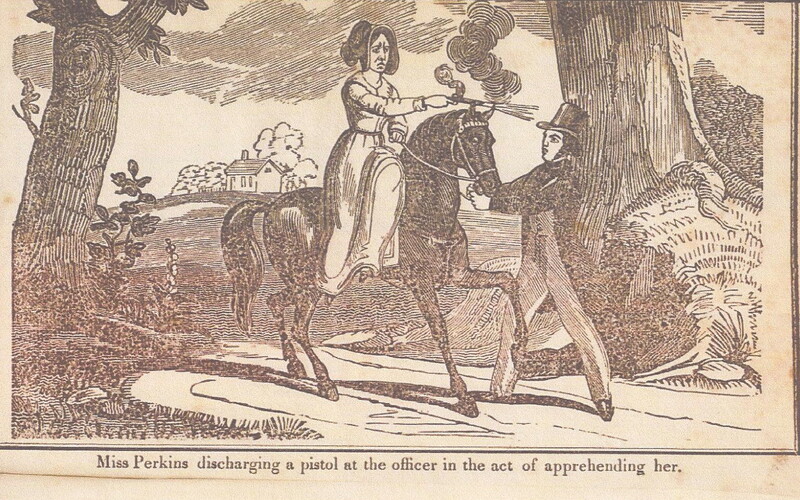 Much as a penitent alcoholic traces back his or her downfall to their first sip of beer, Miss Perkins first trod the road to perdition at the age of thirteen, when her father made the fatal decision to enroll her in riding school, where she discovered “my present extravagant fondness for those noble animals.” She became, in short, an addict, never happy unless she was in full gallop on the back of a fine steed. Despite this growing mania, Miss Perkins informs us that she was a pretty, accomplished, and highly popular young lady with a spotless character. At least, such was the case until she was seventeen, when at a neighborhood party she met a “genteel” young purser in the Navy. Her father disapproved of this budding romance, (her inamorato was of respectable, but “humble” birth,) so the couple decided to elope. The plan was for her to steal her father’s fastest horse and ride to join her swain on his ship in Portsmouth. Disguised as a man, she would pass as an ordinary volunteer sailor. She rode 117 miles in less than a day, but, alas, for nothing: The young purser’s ship had already sailed. Our plucky little heroine refused to let that thwart her. 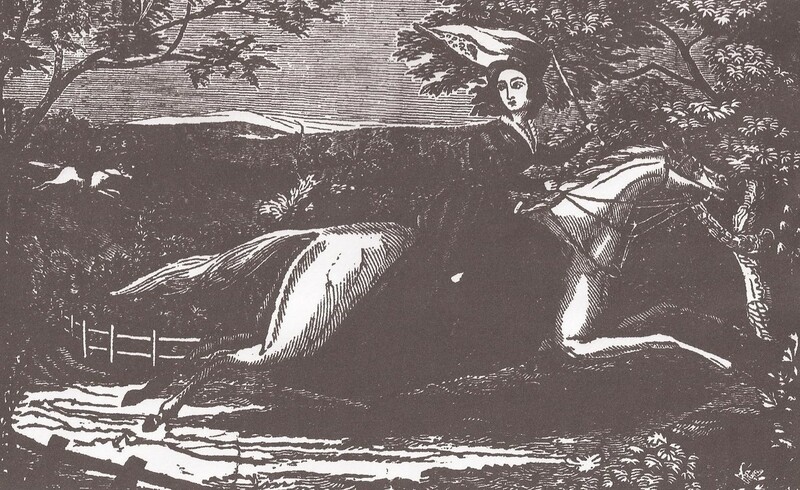 She sold her horse, and embarked on a ship bound for Quebec. Unfortunately, her ship encountered a violent storm which left it shipwrecked. The passengers and crew were rescued by an American ship which brought them to Wilmington, North Carolina. Josephine was alive, but in a foreign land, penniless, friendless, and with no means to support herself. Well, she asks us, what was a girl to do but turn horse thief? Wisely deciding the neighborhood had become a bit too hot for her, Miss Perkins traveled to South Carolina, where some kindly ladies gave her a small sum of money for her immediate needs. She found this reliance on charity intensely mortifying, and resolved to provide for herself. Sarah/Josephine got the short end of the legal stick (she had to concede this was her fourth offense in this line,) and she received two years in Madison County Prison. The visits of “three or four kind and religiously disposed ladies” soon led her to see that her wretched condition was “my own natural and wicked propensity to practice evil!” She decided to give the public a cautionary tale describing her adventures, “with the hope that it may prove beneficial to both parents and their children.” Thus the edifying “Female Prisoner” publication was born, and the world believed they had heard the last of the sadder-but-wiser equestrienne. As is usually the case with hogwash, it worked like a charm. 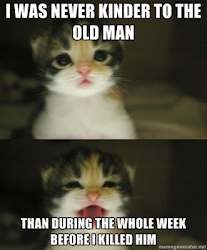 Our Josephine was soon on the loose again, where, I regret to say, she quickly went from bad to worse. On finding herself known far and wide as the “Female Horse Thief!” Miss Perkins shrugged and told herself she might as well “Enjoy the game as bear the name!” She skipped out on tavern bills. She (unsuccessfully) set out to bilk a wealthy and susceptible young man out of his money by means of a fraudulent wedding ceremony. And, always, there were horses. Lots and lots of beautiful horses. Finally, tiring of hearing “that almost constant and to me unpleasant cry of Female Horse Thief!” she decided to leave the country and change her reputation from bad to good. The law now decided they had had quite enough of Josephine Amelia Perkins. She was very quickly tried and given a life sentence. Her “foul and unlawful deeds” had come to a sad end, and she disappeared from history. Or did she? Her biographers assume she indeed remained in prison for the rest of her days, but I am not so certain of that. It’s hard to keep a good horsewoman down. What an unusual story! Love your blog!